Hands are one of the most important parts of the body in terms of operational functioning. When fingers or hands are injured, it can drastically change the life of the individual. Because of constant and repetitive use, our hands are susceptible to strain, stress and trauma. Most hand and finger injuries are due to trauma. Did you know that the majority of hand injuries occur on the job? Unsafe working conditions account for many workplace injuries. If you have suffered a hand injury or the loss of your hand, or someone you care about has suffered this type of injury, contact the lawyers at the law offices of Friedman, Rodman & Frank, P.A. We are here to help you get maximum compensation by filing personal injury claims and lawsuits in Miami and South Florida courts. Hand injuries consist of fractures, tendinitis, carpal tunnel, diseases, infections, osteoarthritis, dislocations and a long list of other injuries ranging from bothersome to extremely serious, including amputation. Other injuries to hands and fingers include excessive use (overuse) and degenerative disorders and disease. Hands are made up of multiple tendons, ligaments, joints and nerves, all working together to produce specific functions. When one of these parts of the hand are compromised, full functioning of the hand can also be compromised. Bone scans (usually performed when there is a possibility of a fracture, especially a small one that is not detected in an x-ray). Culture and sensitivity, in cases of severe trauma, a swab is taken in order to prescribe an antibiotic. A culture is done to find out what kind of bacteria might be causing an infection; and a sensitivity test checks to see what kind of medicine (antibiotic) is needed to cure the illness. Blood work is done in order to match those with severe injuries, especially in cases involving diabetics, etc. Treatments for hand injuries depend on the specific type of injury, severity of the injury and overall health of the individual. If an injury involves an open wound, a Tetanus shot is usually given immediately to ward off infection. In other cases, antibiotics are given in order to stave off infections. For cases involving bone fractures or torn ligaments, a splint is usually administered immediately. In these cases surgery is usually necessary to repair a ruptured ligament or tendon, and pinning of bones. Post-surgery or treatment, typically physical therapy is needed to prevent loss of function. The length of time therapy is needed and the specific type of therapy exercises needed varies greatly. Check with the surgeon for specifics on physical therapy. The bottom line is that hand injuries vary greatly. It’s imperative to get an injury checked out as soon as possible. 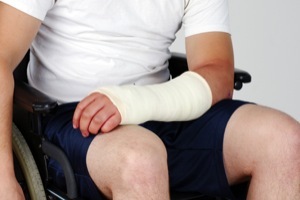 Extreme damage or loss of limb can occur if injuries are not attended to in a timely manner. Be sure to take these injuries seriously and seek help from a licensed professional. Also, don’t be afraid to get a second opinion, as it’s your right to ensure you are being properly evaluated. And finally, strictly adhere to the exercises set forth by your physical therapist. Physical therapy is a very important part of achieving full recovery. 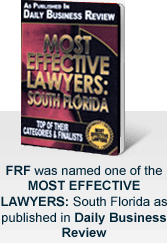 At Friedman, Rodman & Frank, we help individuals across South Florida navigate the legal process, while protecting their rights with compassion and sympathy. Our Miami personal injury attorneys have the extensive knowledge, experience, and skill you need to examine your legal options and seek fair compensation for your injury. If you need to seek legal advice regarding a workplace injury, we urge you to contact us at our Miami law offices by calling 305-448-8585 or 877-448-8585, or by completing our online contact form. All consultations are always free and confidential, and our attorneys can communicate with you in English, Spanish, and Creole.